Today I want to write about a really cool species of bird, the tawny frogmouth. These amazing birds grow about 44 cm long. They are often confused with owls, but they are more closely related to a group of birds called nightjars. They are nocturnal hunters, coming out at night to catch insects, worms, snails and even small mammals, frogs, reptiles and other birds. They have huge mouths that help them catch their prey and they have special wings that are silent when they fly. During the day, tawny frogmouths sit perfectly still in a tree and use their excellent camouflage to look like a branch. They mate for life and the male and female spend most of their time together. They build nests from sticks and line them with leaves and grass to make them softer for the chicks. They lay 1-3 eggs each breeding season. Both the male and female incubate the eggs and feed the chicks. Tawny frogmouths are quite common and can be found throughout Australia in a wide range of habitats. 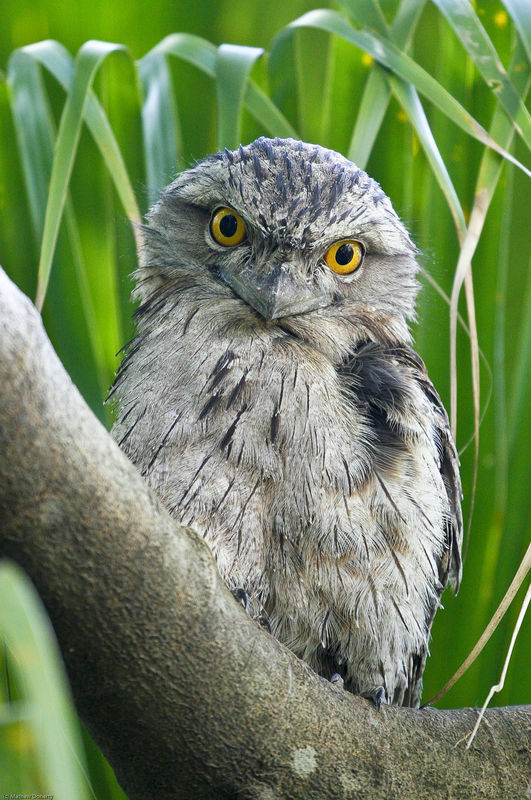 Are there any other interesting facts that you would like to share about tawny frogmouths?